Moshe Zylberberg was born on October 28, 1912 in Lublin, Poland. The youngest son, Moshe had two sisters and a brother. He was a student first at the school where his father taught and later he traveled to Vilna to attend a Seminary. 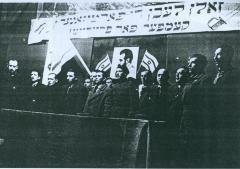 Moshe became incredibly active in the Zionist organization in Lublin and traveled to both Warsaw and Lodz to hear Vladimir Jabotinsky, the Zionist leader, speak. He was not only a member of the organization but took on a leadership role and helped to form Zionist youth groups across the country. Moshe’s life changed dramatically when he was 27 years old and the war broke out. Moshe was still living with his parents and had read Mein Kampf. He did not believe that Hitler would touch the civilians of Poland but in 1941 the Jews of Lublin were forced into a closed ghetto. Moshe, his mother and one of his sisters tried to escape but were unable to and had to return to the ghetto. 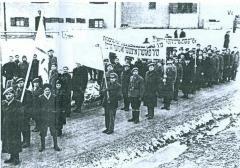 In 1942 the Jews from all over the country were brought to Lublin, raising the population from 2,000 to close to 60,000. 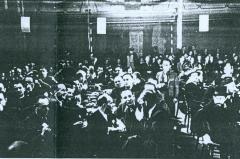 Moshe and his brother, Zvi, decided to leave for Warsaw where their other sister had a room for them in the ghetto. Zvi went to work placement, and he and Moshe were given leadership positions. Moshe was in charge of collecting money to pay the Germans. 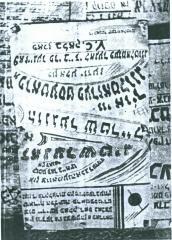 Everyday he read the leaflets published by the Polish underground. Moshe formed a revisionist group in the ghetto and smuggled things into the ghetto. 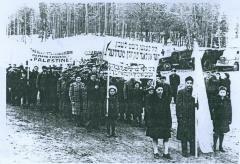 In July, 1942, Moshe’s parents were sent to Treblinka. 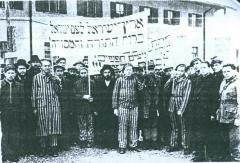 Moshe himself was sent to Treblinka after a 3 day train ride and saw piles of dead people and cried for water. After a day, he was sent to another camp. Moshe was moved, once again, to another camp and was then put in the hospital because he was exhausted. 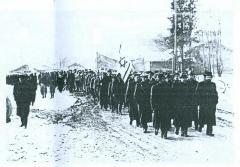 The Germans decided to evacuate the camp because it was surrounded by Americans but Moshe was liberated when the Americans arrived at the hospital. Moshe met a Jewish soldier who spoke Yiddish in the hospital. Moshe asked to be moved to another camp but was denied permission to leave, so the soldier helped Moshe escape. 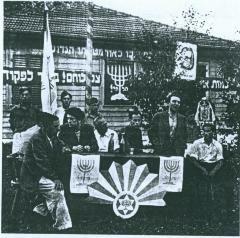 In the other camp, a Zionist organization began to form, and Moshe spoke about Zionism, and Jewish and Hebrew literature. 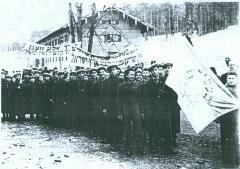 Moshe became the cultural leader in the camp and wanted to establish a newspaper. He wrote in Yiddish about the destruction of Lublin and the Warsaw ghetto uprising. He went to Munich as a representative of the revisionists. He helped publish a weekly newspaper in Germany. It was during his time in Germany that he met Shoshanna and they were married. 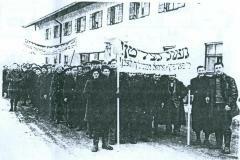 They were lent $500 by a Zionist leader and traveled to the U.S. right before Passover in 1949. Moshe worked as a teacher and principal in the U.S. He and Shoshanna had a son and a daughter and decided to stay in the U.S., even though Moshe remained a Zionist. 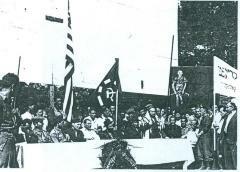 He testified as a witness in four different U.S. cities (Cleveland, Philadelphia, New York, and Baltimore) about what happened in Lublin and Warsaw. Moshe passed away in 2005. Recorded interview with Moshe Zylberberg can be viewed here.